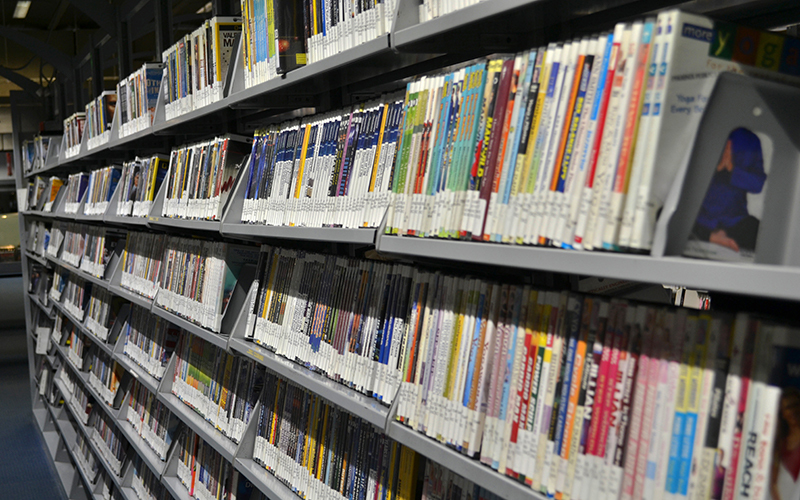 PHOENIX – Arizona public libraries have pushed to become more than just a place to check out books, and an $800,000 grant will help continue the expansion by developing 50 programs at 36 libraries throughout the state. The state grant will fund programs including centers for entrepreneurs, mobile book bundles for seniors, a Lego imaginarium, robotics parts lending library and homework help. Medina Zick, youth and teen coordinator for Scottsdale Public Library, is using funds from the grant to develop an autism resource center at Civic Center Library. Zick said that she was inspired to create the resource center because autism has affected her family. With one in 64 children being on the autism spectrum, many parents need help with resources, she said. Children with autism need sensory engagement specifically designed for them. “They need different environments and perhaps a different way to take in information,” Zick said. The collection will include educational tablets, audio components and brain boxes that contain activities to help with early brain development. The library has decided to allow the brain boxes to be checked out so that those dealing with developmental and learning disorders will have activities and resources inside and outside of the library. Arizona Secretary of State Michele Reagan posts on Twitter about $800,000 in federal grants for library programs throughout the state. Mental health experts will come to Scottsdale Public Library to help those affected by learning and developmental disorders. “I think we’re trying to meet the need where homes do not have those resources for books and things,” Zick said. The grant from the Arizona State Library, Archives and Public Records will help libraries in cities like Scottsdale and Phoenix meet the needs of the communities they serve. Phoenix Public Library will be addressing the community’s need for STEM resources by developing a robotics parts lending library, said Lee Franklin, community relations manager for Phoenix libraries. “We will have a library of robotics materials, parts and supplies, and people can check out parts for projects,” Franklin said. “Our impact can be far reaching and throughout a person’s life,” Franklin said. Phoenix resident Marissa Burns has been coming to public libraries since she was a child. She now brings her son. Burns said that she is certain she and her family will take advantage of the library’s new programs. “We’re about to foster two older girls, so … we would definitely want to get them involved in that,” Burns said.